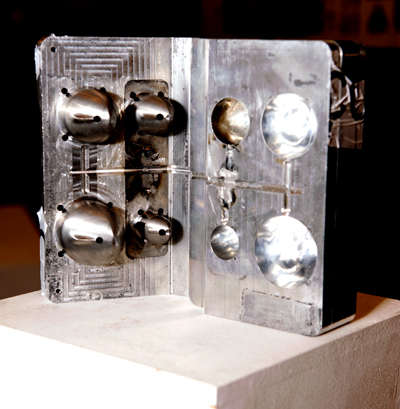 The AX2011 exhibit is located at the Kasian Gallery in Calgary and runs from October 2011 – February 2012. The AX2011 Wall is featured as a part of the exhibit. 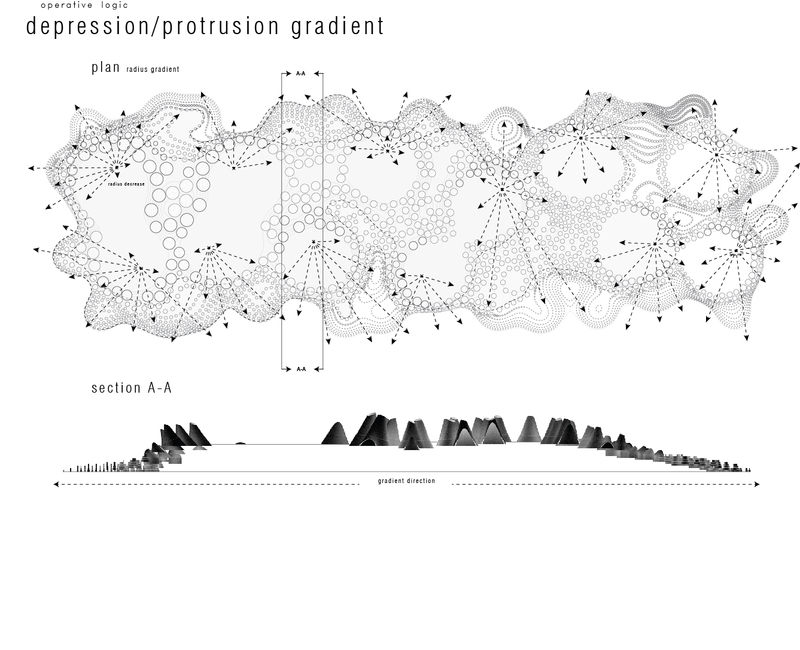 AX2011 explores localized weather conditions as generative tactics for a parametrically limited undulating geometry. The project simulates the surface and formal effects produced by warm air masses often referred to as “Chinooks” or foehn winds as they collide with arctic air masses. This phenomenon which occurs in southern Alberta, is capable of producing rapid and extreme variations in air temperature as well as a cloud formation known as a Chinook arch. 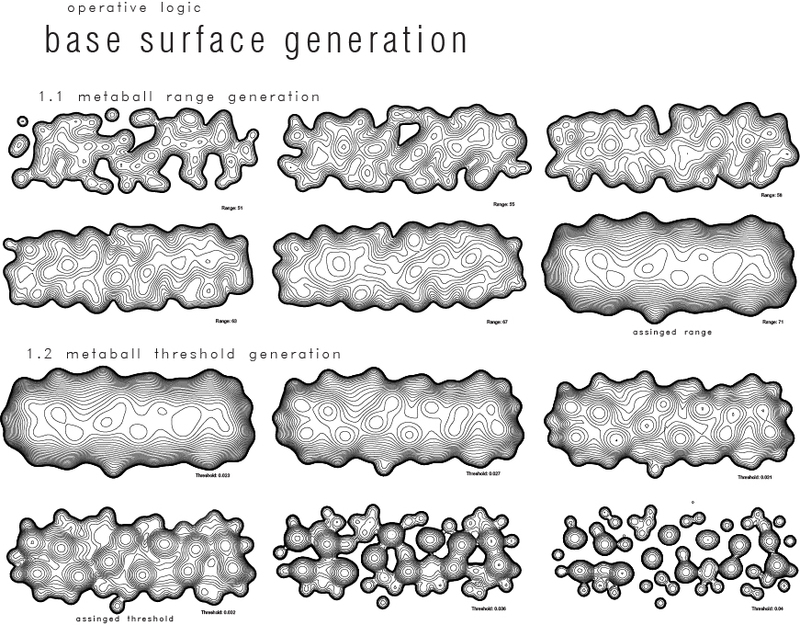 These formations are produced through orographic lifting and often manifest in variably coloured and rippled stratus clouds with a distinct trailing edge. 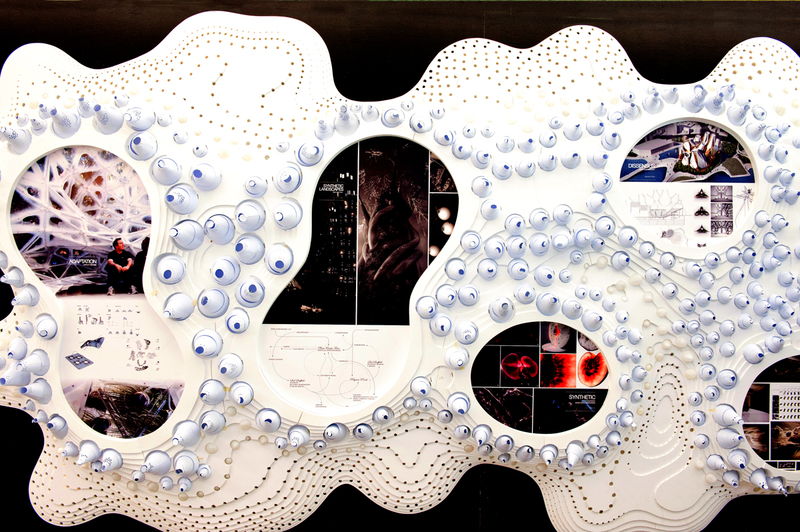 This project was developed as a part of the ACADIA 2011 project exhibition in collaboration with the sponsors and fabricators FLATCUT_. 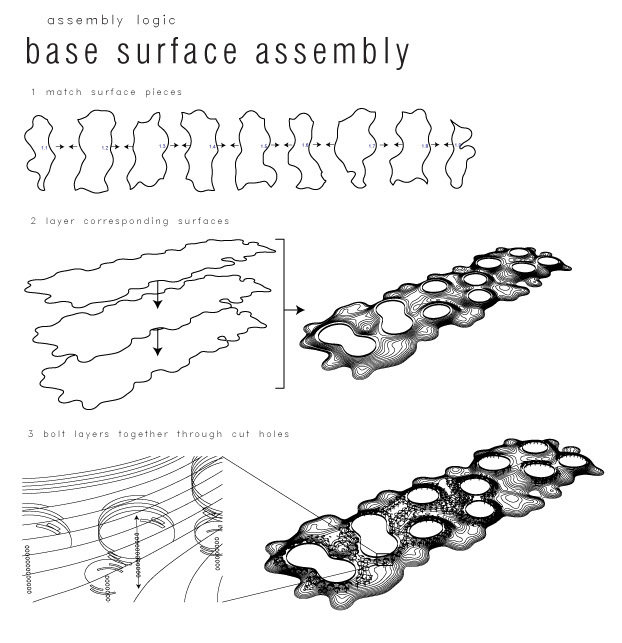 Undulating masses and surface articulations where produced through a set of metaball and subdivision simulations and translated into flat sheet material fabrication strategies. 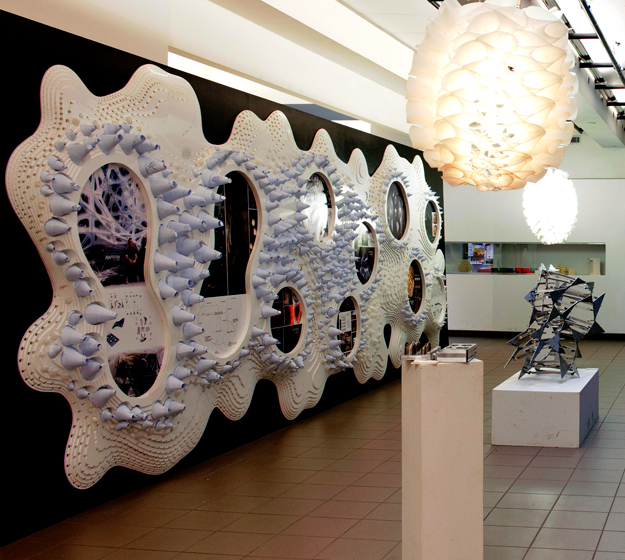 Translucency, reflection and subtle tonal variations interact with ambient lighting to condition the exhibition space. 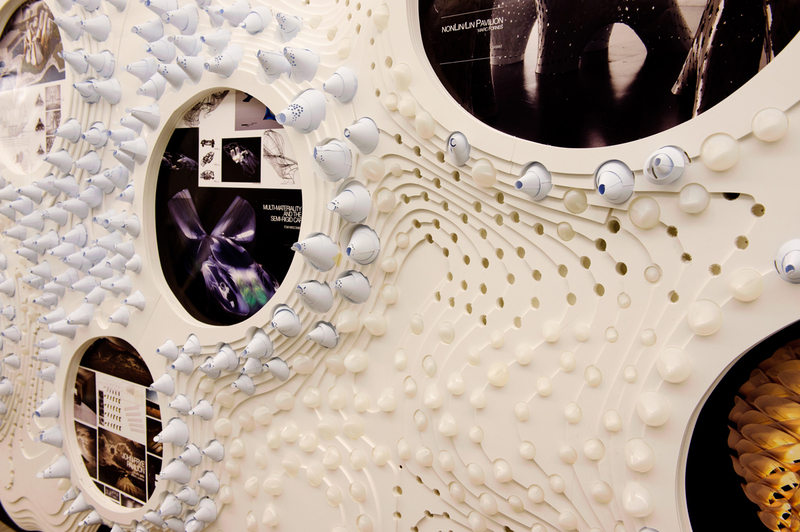 The wall also produces an armature for the inclusion of selected projects from the exhibit.